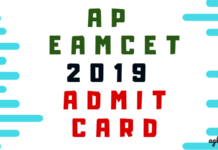 AP PGECET 2019 Application Form: The application form for AP PGECET 2019 is available from March 01, 2019 and closes on April 05, 2019. Candidates need to fill their personal as well as the qualification details in the application form. In the same context, candidates also have to pay the application fee on or before due date else they will be charged with the late submission fee as well. For more information on AP PGECET 2019 Application Form, candidates must scroll down. We will also provide the direct link of the application form. Latest: AP PGECET 2019 Application Form Correction link is now available. Access the link from below. Candidates who want to take admission in the PG courses in the institutes affiliated by APSCHE have to fill the application form first. Aspirants are advised to check the eligibility criteria first before applying for the same. The application invites of non-eligible candidates cannot be entertained by the ASCHE. Candidates can check the dates from below. Application Form: Candidates can check the links provided below pertaining to Application Form. Click here to Pay the Fee. Click here to Know your Payment Status. Click here to Fill the online Application Form. Click here to Print the Application Form. Click here for Application Corrections for AP PGECET – 2019. The application fee for AP PGECET varies according to the category of the candidates. Even, if any candidate pays the fee after the due date then he/she has to pay the late submission charges with the registration fee. Candidates can make the payment through AP Online Services or Payment Gateway provided ( through Credit Card/Debit Card/ Net banking). 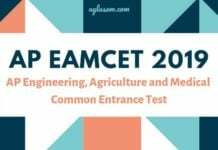 How to fill the AP PGECET 2019 Application Form? 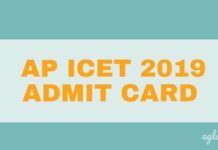 The AP PGECET 2019 Application Form is available online on the official website of APSCHE. Candidates must go through the steps enlisted below to make sure that they are stepping in the right direction towards their dream course admissions. There are 4 Steps in filing the AP PGECET online application. Step-1: Fee Payment: Candidate can make Online Fee Payment through this option. Step-3: Fill Application: After fee payment either by cash at AP Online Center or by money transfer by Debit/Credit/Net Banking modes, candidate should fill in the Application through this option. Step-4: Print Application Form: After application form submission, candidate can print the submitted form. Fill in all the mandatory details given in the web page. The details are Qualifying Examination Hall Ticket No., Candidate’s Name, Date of Birth, Mobile Number, Mobile No Mentioned above belongs to Self or Father or Mother or Relative, Alternate Mobile Number-Mail Disqualifying degree [B.E./B.Tech. / AMIE / M.Sc. / MCA etc. ], Specialization in qualifying degree, eligible papers at AP PGECET, Fee Amount. After filling the mandatory details click on Initiate Payment button, the control will lead you to the AP Online Payment Gateway where you can select the mode of payment credit card or debit card or net banking. The confirmation of successful payment of Registration Fee is shown with the “Transaction is successful” message along with Payment ID. Click on Know Your Payment Status tab for checking the status of the payment. After clicking on Know Your Payment Status Tab, the new page will be displayed in which the candidate have to fill same hall ticket number and mobile number as given in step 1 and click on Check Payment Status button. After clicking on Check Payment Status button, the success/Failure page will be displayed. Fill in the details of payment reference ID, Qualifying examination Hall ticket number, mobile number and date of birth and click on Proceed to fill application. In the application form, the fields marked with ‘*’ symbol are MANDATORY which cannot be left blank without providing information. The details provided during the Registration Fee payment are frozen and cannot be edited. Step 4: The candidate can print the submitted application through this option. Candidate can take print out of the application by clicking on Print Application button which is useful for further correspondence. 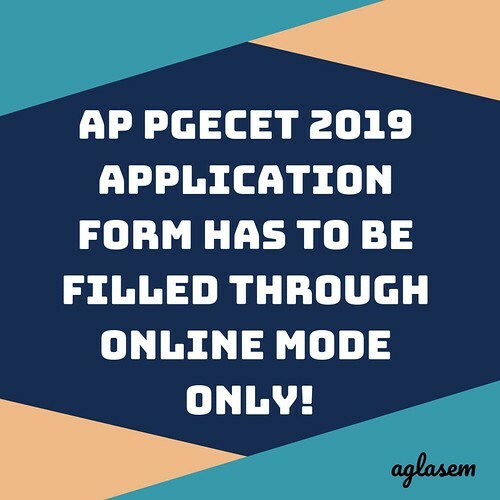 After clicking on Print Application Form link from Application tab of AP PGECET-2019 Home page, the Print Application Form for AP PGECET-2019 page will be displayed then enter all the mandatory details and click on Get Application Details. After entering all the mandatory details and clicking on Get Application Details, the print copy of the AP ICET -2019 will be displayed for printing. Click here to know in detail about how to fill the Application Form. Candidates have to submit the scanned copies of their passport size photograph and signature while filling the application form. Aspirants must check the following table to get through the image specifications. NOTE: The signature should be affixed with a black pen on a white paper. There is a facility for appearing candidates to make corrections in the application in a given period of time. Through the application correction window, candidates can edit some of the minor mistakes that they made unintentionally. It is advised to all the candidates to review their forms first before the final submission. Also, note that candidates cannot edit the exam center details in the application form once it has been submitted to the council.